Let us look at five aspects of Diwali and how the theme of brightness is suggestive of an important lesson for our financial future. This Diwali, the jury is still out on whether crackers should be allowed or not. Of course, they have been permitted subject to fixed timings and the use of green crackers. But Diwali is also an occasion to re-inforce your commitment to a safe and secure future for yourself. Let us look at five aspects of Diwali and how the theme of brightness is suggestive of an important lesson for our financial future. Most Indians have grown up spending Diwali amid the fun of sparklers and deafening sound of crackers. When you play with crackers, you need to ensure that you don’t end up playing with fire. What does the sparkle and brightness of crackers remind you of? It is a reminder that there is risk at every turn, and we need to be prepared for it. Diwali crackers are a reminder on why each of us should always prepare for the uncertainties of the future. This Diwali, you need to begin your journey with insurance. You surely don’t want any of your family members to end up in the hospital due to a sudden illness. Apart from the mental trauma, financial trauma is also immense. Adequate medical insurance can at least save you the financial trauma. In addition, you must also ensure that your hard-earned assets are safe. Asset insurance can really help to this end. These are the risks you run even when you are around, and this Diwali, ensure that your medical and asset insurance are taken care of. In many ways, Diwali is also a reminder of the ephemeral or fleeting way of things. Festivities come and go and we are back to our routine. The fun and frolic of crackers is gone and all that is left are the embers of your enjoyment. It is hard for us to accept it, but the reality is that a lot of things are extremely uncertain and also ephemeral. That is where life insurance fits in. It is something that really stands by your family in your absence. This Diwali, ensure that you take adequate insurance for your life so as to provide comfortable sustenance expenditure to your family in your absence. Ideally, you should prefer a term insurance, which is not too expensive and can also insure you for a higher sum. Don’t forget liability insurance for your home loans and car loans so that these liabilities are covered and asset ownership is not impacted. This happens in most families. You end up splurging on Diwali expenses and end up running a huge debt on your credit cards and personal loans. Instead, try to plan your next Diwali with a small 1-year SIP in a debt fund. The discipline will ensure that next year you don’t end up borrowing for your Diwali expenses. You have a good 12 months to plan ahead and the SIP can also ensure that the burden is reduced by regular investing. Also, you earn more than what you would normally earn in your savings account. If you implemented that idea this year then it is great, but at least start planning for next year’s Diwali celebrations. If you invest in good funds on a regular basis, and for the long run, it is an example of a good investment idea. It is going to make you money in the long run. Diwali is a festival when Hindus pray to Goddess Lakshmi for wealth and prosperity. But Diwali is also a reminder that wealth creation has to begin from your side and it has to begin today. 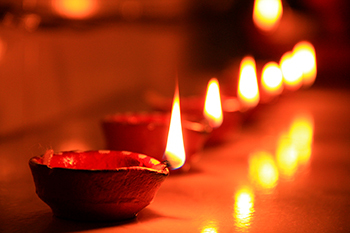 Use the Diwali festivities to start off an equity-SIP for the long run. Be sure to tag it to a specific goal like your retirement, your child’s education, their wedding, etc. This will ensure greater commitment. Diwali is the auspicious occasion to embark on any good venture. If you are thinking of planning for your goals, the time to start is now. The whole idea of festivals like Diwali is to instil a sense of urgency in you about your financial future. You don’t just plan but also work on your plan. If planning is the launch pad, then execution is the key. How well you implement your long-term financial plan will largely depend on how quickly you get down to the brass tacks. The time to start is this Diwali!